Planning for outside time means weather safety is part of a child care provider’s daily routine. Changes in weather require continual monitoring to ensure the health and safety of the children. What clothing, beverages, and protections are appropriate? The following information is what I use to guide my decisions regarding the safety of outside play. Condition GREEN – Children may play outdoors and be comfortable. Watch for signs of children becoming uncomfortable while playing. Use precautions regarding clothing. sunscreen, and beverages for all child age groups. Infants and Toddlers are unable to tell the child care provider if they are too hot or cold. Children become fussy when uncomfortable. lnfants/toddlers will tolerate shorter periods of outdoor play. Dress infants/toddlers in lightweight cotton or cotton-like fabrics during the warmer months. In cooler or cold months dress infants in layers to keep them warm. Protect infants from the sun by limiting the amount of time outdoors and playing in shaded areas. Give beverages when playing outdoors. Remind children to drink while playing and apply more sunscreen as needed. Children need a firm approach to wearing proper clothing for the weather (they may want to play without coals, hats or mittens). Condition YELLOW – use caution, shorten the length of outdoor time and closely observe the children for signs of being too hot or cold. Condition RED – most children should not play outdoors due to the health risk. 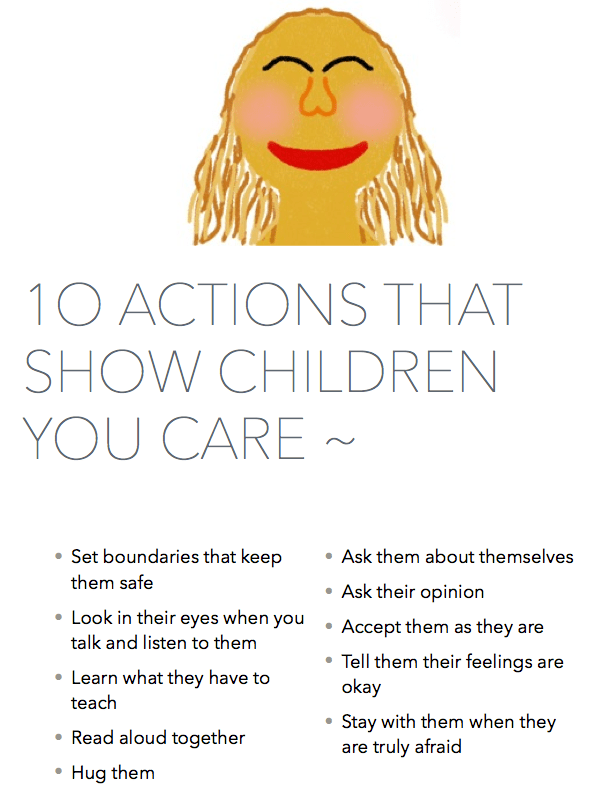 Across the years of providing care some simple truths have emerged for me about developing a trusting relationship with children. You have to show them that you are genuine in your caring for them. There are as many ways as individuals to accomplish this, but for me I have my basic 10 that seem to cover all ages and personalities. It’s seems like there is almost always a child involved in toilet training at Country Fun. It can be a super stressful time for everyone. There are so many different approaches. I try to accommodate parents in the techniques they are trying to use at home. I personally like to have it totally child lead. Over many years and many experiences with toilet training I have found that first children need to be able to communicate their need. They need to be able to get their pants down without help. The biggest is they need to want to do this. The achievement needs to fulfill something for them, and for children that is often different than for a parent. A couple of short posts from Childhood 101 a site a regularly visit, I think has some good points. Read and enjoy. Real Mums Talk About Toilet Training Part 1 and Part 2. 2-1-1 Maine a statewide-directory of over 8000 resources connecting Maine callers to information about health and human services available in their communities and is part of a national movement being delivered by participating United Ways and states. 2-1-1 provides emergency operations during times of natural and other disasters, including accurate and timely information for preparations, and longer term referral for follow-up services if required. Knowing that there will be times that we need to be totally flexible this is our general daily schedule. Infants rest and eat as required/individual needs. Weather permitting, children will have regular time for outdoor play. Indoor space also allows for active play throughout the day. This work by Country Fun CC is licensed under a Creative Commons Attribution-NonCommercial-ShareAlike 3.0 Unported License. All content here is the property of Country Fun CC. As long as you do not use any of the images with children clearly visible in them, you are welcome to use everything posted here in part or it’s entirety for non-commercial purposes, provided that attribution is given (you say where the content is from). Please provide a link back to the original content on this blog, so we may all continue to make the connections this medium provides us. If you are not sure on usage just leave a comment on the post and I will get back to you. Click here for the most current FCC Licensing Rule. Quality for Me requires an annual family survey survey to allow comment on the care offered at Country Fun. Although we communicate daily I have found the survey to point out areas that have been overlooked. I encourage families to think and comment on positives or strengths they see in the program, as well as, areas they think there could be some improvement in. I am continually involved in trainings to increase my knowledge on issues around the early education and nurturing of children and any input here will influence my decisions regarding future trainings. Annual Family Survey Form for evaluation of care and program offered at Country Fun Child Care. Country Fun Child Care is dedicated to providing the children in the program, parents and visitors with a safe and healthy smoke-free environment. – Within all enclosed areas of the facility. – On all facility grounds, including playgrounds and parking lots. – In facility-owned or leased vehicles & employee personal vehicles being used in the course of work.